When I began my tool-and-die apprenticeship many years ago, I inherited a toolbox full of precision measurement tools from my grandfather. Most of these tools were manufactured by the LS Starret Company in Athol, Massachusetts. I still have those tools and use many of them regularly. This is a testament to the exceptional quality these tools possess. Simply put, they are made right, and made to last. They are always accurate and reliable. A great example of this is my combination squares that came with my grandfathers tools. These things are probably 60 or 70 years old and still work perfectly. How many other tools can you say that about? With very few exceptions, I would still choose a precision measuring tool made by Starrett over most other brands. The main exception is my test dial indicator. The old-time Last Word just cannot compete with an Interapid or Brown and Sharpe. I currently own Starrett precision micrometers, digital micrometers, rulers, tape measures, dial calipers, digital calipers, small hole gages, height gage, feeler gauges, level, bandsaw blades, a decimal equivalent chart, and soon will be getting an optical comparator. 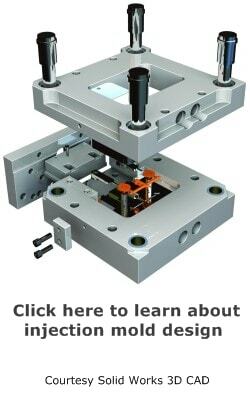 If I could afford it, I would get Webber gage blocks and the newer vision system that has come about as a result of the recent acquisition of Kinematic, from California. The gage blocks are second to none, and the vision system is state-of-the-art. One rather interesting fact about the Starrett company is that their quality has remained very high, even though many of the tools are manufactured outside of the USA. Not that other countries cannot make quality products, but companies seem to lose control over the process and eventually the quality suffers. Interestingly, I was on my way to the beach in Brazil some time ago and out of the blue drove past the Brazilian division of Starrett. I wanted to stop and visit, but my date was totally disinterested. I believe this is where the bandsaw blades are manufactured. As with any quality product, you pay a little more than you would for run-of-the-mill goods and services, but it certainly pays off in the long run. The above mentioned example of my grandfather’s combination squares is a case in point. A very useful service offered is repair and calibration. Because the company is so well grounded and established, you can rest assured that your repair or calibration will be taken care of quickly and competently. 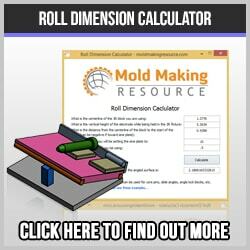 Another great service is that of custom manufacturing for special applications. By working with the customer they can offer solutions for most precision measurement problems. This is a laser based, non-contact dimensional system used for inspection, quality monitoring and process control. These systems are rugged, durable and made to perform in a real shop environment. The Profile360 digitizes the profile, compares it to a CAD template, and monitors key dimensions. They are used to inspect many different materials, including rubber, wood, plastic, metal, and ceramic. This line of product is the result of a Starrett-Bytewise collaboration, which has enabled the company to further expand it’s role as a global leader in precision measurement. The LS Starrett company has a long history of manufacturing high quality precision measurement tools used worldwide in a variety of industries. Most of the tools were developed for the machine tool industry, but newer products are used in a wide range of industries. Companies looking for reliable, accurate, fairly priced tools should make Starrett the supplier of choice, or at least the starting point in the purchase decision making process.